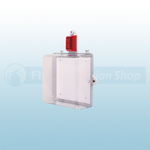 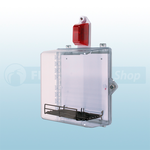 The Polycarbonate Enclosures with Alarms can be used for a variety of equipment such as fire and security control panels and will protect against vandalism and accidental damage. 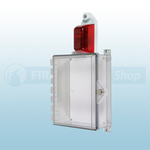 The enclosures are available with a choice of audible siren alarm or strobe/siren alarm, and thumb or key lock. 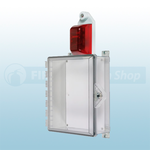 The enclosure can easily be mounted on to any wall surface with the external mounting tabs.